Piccoli Zoo app and Piccoli Horses work hand in hand to stimulate a child’s mind, body, and spirit. There are a variety of colors and types to choose from and each Piccoli horse is created especially for your child, and this type of personalization would seem like the cost would be astronomical; they aren’t! The 14-inch plush horse is $30, and the 6-inch is $15! Add $2 to add your child’s name to really make their new friend a friend for life for the mini horses only. Winner of already numerous prestigious awards, Piccoli Horses are the perfect plush toy for any age! Proudly handcrafted in Kentucky, USA, each horse is lovingly designed for your little one to enjoy. Keeping kiddos engaged all summer long can really be a task! A child’s mind is always working, and they get bored very easily, which is why you see a lot of tablets, iPads, and cell phones in young children’s hands! I am guilty of this! My five-year-old son has his own iPad. He was working those apps since he was two years old — apps was one of his first words! No kidding! This is why I love this sweet idea that pairs social interaction, technology, the element of play, and educational tools all into one. 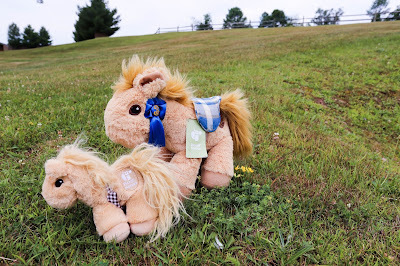 Piccoli Horses are sweet, super soft and fluffy plush horses that come in 6-inch or 14-inch plush sizes that are made especially for your little one. The Piccoli horse is a full-on plush doll that is just the sweetest toy to hold. 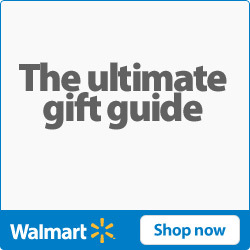 No batteries required; you just need your smart device. Why on Earth would I be condoning this? Why not? It's 2018, and we need more toys that incorporate social interaction paired with technology, so your kiddo isn’t staring blankly at a screen watching someone unbox toys. Ahem. Say goodbye to the glow of blue light reflecting off of your kiddo’s face, Piccoli Horses are here! When your Piccoli horse arrives, get ready to hug it for a long time. I am not even exaggerating that I love holding them. We were sent the 6-inch and 14-inch plush ponies to review, and we got them in a beautiful sandy color. The quality of craftsmanship for these plush horses make them heirloom quality making them toys to treasure throughout childhood and beyond. After squeezing them tight download the free app “Piccoli Zoo” where you will find interactive prompts and games that your child will enjoy. The app is extremely interactive and it requires your kiddo to speak back to it and to perform the task (like a yoga pose or reaching up to the sky) in order to move on to the next task - to move on simply slide the slider. Only a mother could come up with such an amazing idea to combine the element of movement and speech along with a soft, furry sidekick. 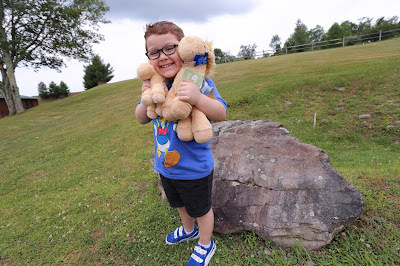 The Piccoli Horse is not your typical Teddy Bear, but it is definitely one you will find your kiddo sleeping with at night! 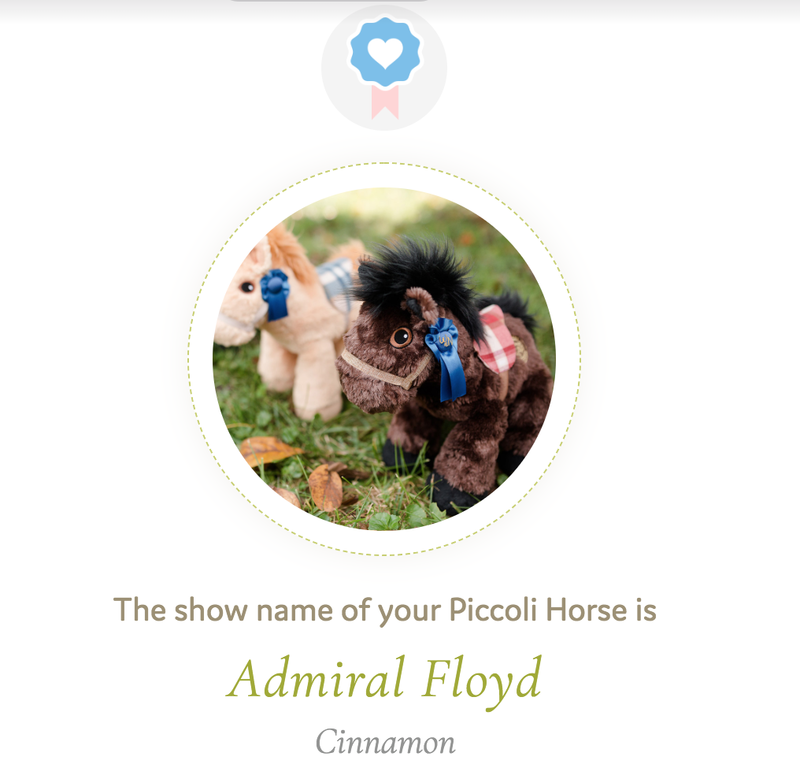 Meet Admiral Floyd and our mini horse, Ginger Bandit. The Classic Piccoli Horse that is 14-inches for $30 comes in a variety of colors and a choice of a special saddle. Each Classic Piccoli horse comes adorned with a large blue ribbon and is for ages three and up. For all ages and also $30, choose the 14-inch Piccoli Racehorse that comes in a beautiful chestnut color and is reminiscent of Kentucky Derby racehorses. Their soft necks are decorated with a wreath of red roses and are equipped with beautiful silver horseshoes to ensure the best gallop.Or choose the other 14-inch. If you're on a budget and do not want to skimp on quality, grab the mini 6-inch Piccoli horse that also comes in a variety of colors, and is the perfect size for little arms to wrap around lovingly. You can get this great deal for $15 and add $2 extra to add your little one's name on the saddle strap. What I love about the mini horses are that some of the saddles are made from repurposed fabrics and handmade in Kentucky. Red Chestnut Piccoli Racehorse is available now! Spring Cloud will be available soon! Once you have your Piccoli horse in hand, find your horse's unique show name by peeking underneath their saddle. Each show name is unique in the equestrian world, so that means each Piccoli horse name will be unique as well. This little added bit adds so much wonder and whimsy to the Piccoli horses. Go to Piccoli Showname and enter in the name found under their saddle. So much fun! My son has been taking his Piccoli horse every where. We went away on a mini vacation, and both his Classic and Mini Piccoli horses came along for the ride. What you’re buying is piece of mind, too, that your child’s brain is working in hand with his/her heart, mind, and spirit. Never have I experienced such a calming, sweet, and gentle-natured toy such as the Piccoli horse. I almost wish our Piccoli horses would come to life already so I could ride off into the sunset with them. For now, I’ll keep giving them cuddles while my kids are eating breakfast. In Italian the world “piccolo” means small or little. In this world of technology, children have our large world at their fingertips closing the gap between far away and close. 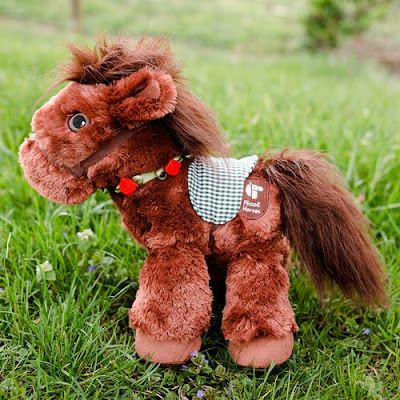 Build confidence as well as strengthen social development with these amazing Piccoli horse plush ponies. You can find your own Piccoli horse on Amazon, PiccoliHorses.com, and at specialty stores across the United States. Download the Piccoli Zoo to enhance this experience for iOS and Android for ages two and up. These are so cute, they look soft and cuddly. My Cousin would love one so she can brush it's mane and tail. Those horses are adorable!! My daughter would LOVE these!! These are seriously super sweet and cute!